Linux provides tool named grep for filter text data or output according to given string or regular expression. This tool is popular amongst Linux system administrators. On the other side Windows operating systems generally lacks this tool and its functionality up to Powershell. 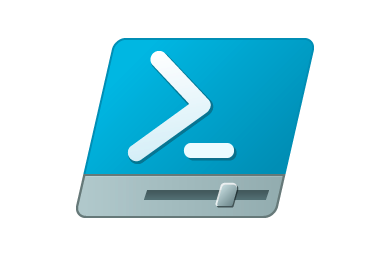 Powershell provides Select-String commandlet to provide similar features and options the Linux grep tool provides. In this tutorial we will look different use cases with examples of Select-String tool. Help about Select-String can be get with the following command. poet.txt is the file we search in. In previous example we have searched given string in a single file but real world problems are more than that. We can search string in multiple files by providing file name or extension with the help asterisk. In this example we will search in all text files by specifying *.txt file name. Now the most advanced file specification is searching files recursively. Recursively searching will look given string in all current folder and al subfolders. We will provide Get-ChildItem command to provide files recursively to the Select-String command like below. By default given strings are searched case insensitive. We can change this behaviour by using -CaseSensitve option like below. Regular expression provides to define more rich and structured string expressions. Select-String command also supports regular expressions. We can provide regular expressions into pattern too. In this example we will use regular expression E.*E to match string. By default given search term or string is looked partially or on whole words. If we need to match whole word which is surrounded by white spaces we should put white spaces around the search term. We will search case search term as a whole word. If we are looking some part of the text and need to see previous lines of the matches we can provide -Context option whit the number of lines we want to print. We will use -Context options again but we will provide after part of the line numbers. In this example we will print 3 lines after the match. Now we will provide both parameters to the -Context where before and after line numbers will be provided. In this example we will print 1 lines before match and 2 lines after match in a single shot. In a result where there are a lot of match and text seeking the match specifically very hard. Highlighting the match will make the job easier. Another useful feature is printing not matched lines or invert match. This is like logic NOT operation. We will use -NotMatch option tho show non matched lines. We may need to count the matches. If there are a lot of match counting them one by one is very trivial task. We can use returned matches count property to print count of matched lines. How To Use Regedit To Read, Create, Change Windows Registry Keys And Data?